Short Sale. 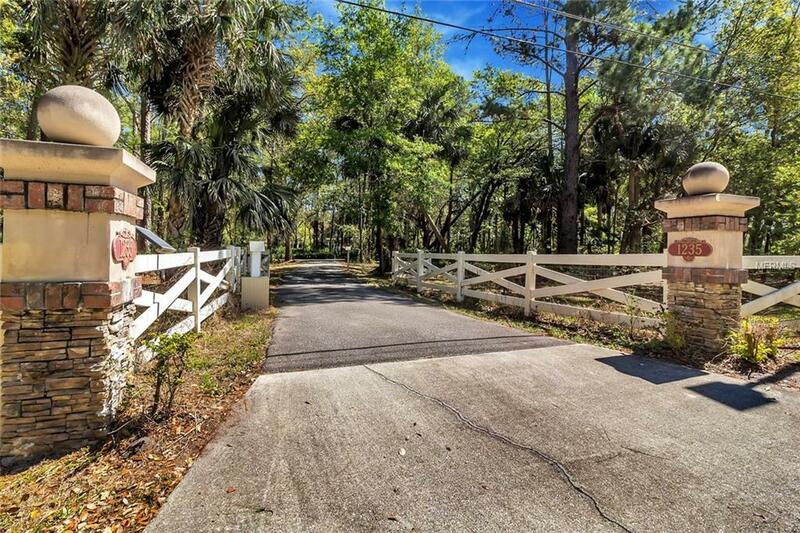 PRIVATE yet only 3 miles to Seminole town Center, Major Highways, dining, A rated schools, & Shopping. 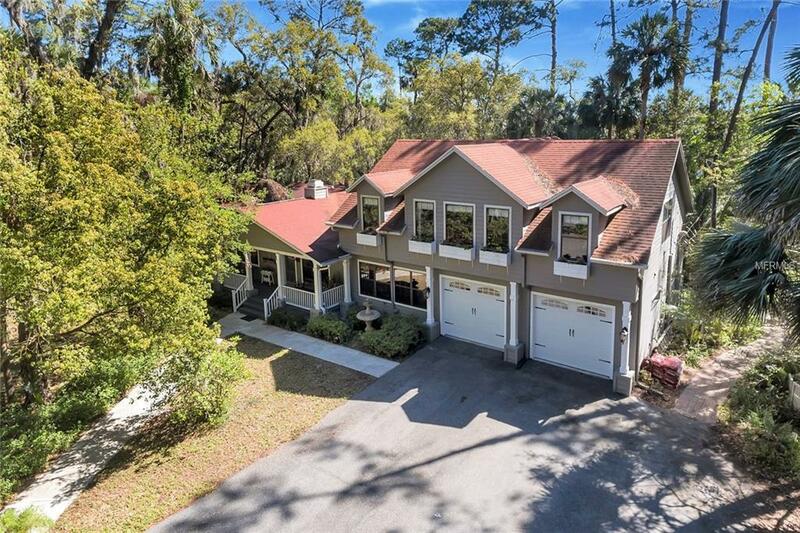 Very unique opportunity to purchase a gorgeous home with almost 4 acres in North Seminole County! 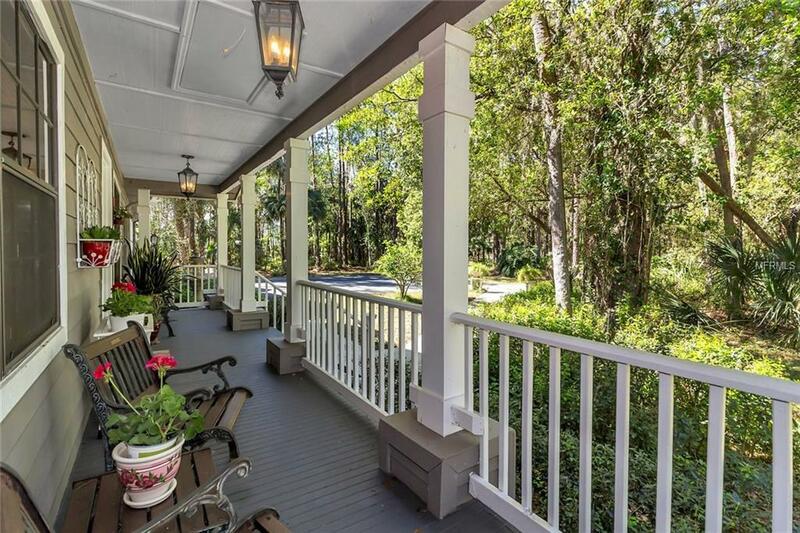 As you drive up to the home through the long scenic private driveway, you are welcomed with the nature of Old Florida charm of this home. Upon entering you are greeted with a large front covered patio and enter into the large living room and separate den/library separated with double sided wood burning fireplace. 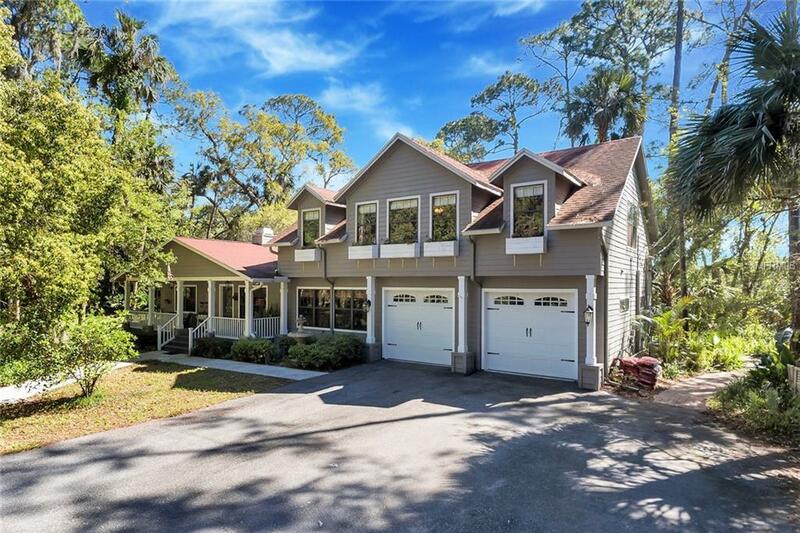 The beautifully remodeled kitchen is a chefs dream and boasts custom cabinetry, granite counters, 2 ovens, plenty of storage and a large breakfast bar/prep area that seats five! Additional room off the kitchen would make a perfect family room/office. The large master bedroom includes space for an office area/reading nook, his/hers walk-in closets and an en-suite bathroom with his/her sinks and a private screened patio. Take the ELEVATOR or the solid oak staircase to the second floor where you will find two large bedrooms, a living area/bonus room, large kitchenette (with full sized refrigerator, sink and dishwasher) and full bathroom. Outdoor oasis includes a screened-in patio, in-ground pool, large deck space, pavilion with electrical hook-up, pool and utility storage house, outdoor shower, pond with waterfall and outdoor storage. Other features include; wood floors throughout, well for irrigation, city water, 2 water heaters, 2 A/C units, and an oversized 2 car garage.